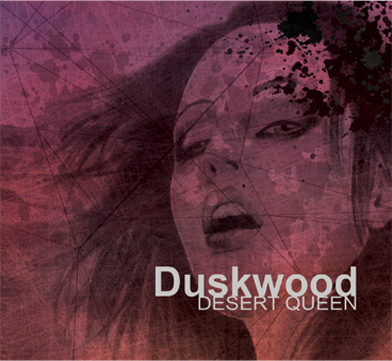 Press | Duskwoood | New Album Desert Queen Out Now! Huge thanks to JK over at Stoner HiVe for another great review of Desert Queen. Matt B, one of the guys over at Musipedia of Metal gave us a short review in their latest post. You can read their thoughts on the album at the bottom of this article linked on their website. We've just hit our 500 likes milestone on Facebook. It's been a long time coming, but we're finally there! If you haven't done so yet, you can find our Facebook page right here. You'll find all sorts of musings such as what we've been getting up to as well as upcoming gigs and the sort! Check out what they've got to say right here! The latest from Duskwood is but three days away. Over to you." Check out Musically Fresh's review of Desert Queen. "If you miss the classic Desert/Stoner Rock sounds then these guys will be right up your street. Read my thoughts on their new album." Huge thank you to Steve Howe over at Outlaws Of The Sun for another great review of Desert Queen! A massive thank you to Miff Morris over at Revel Rouser for this wonderful review of Desert Queen! Huge thanks to Frazer of the Desert Psychlist for the review of Desert Queen! A huge thanks to String Buzz for their kind words whilst reviewing our upcoming album, Desert Queen!